Coupons must be presented on or before the expiration date. 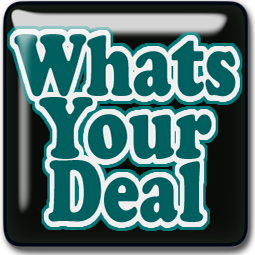 • All coupon terms and conditions must be met and validated by the checkout register. • Customers may use one manufacturer coupon (paper or digital) per item. • Digital coupon acceptance is limited to mPerks only. Digital coupons from smartphone apps will not be accepted. • Transactions cannot be broken up to avoid coupon stacking restrictions. • Separate checklanes will not be opened or designated for customers with large coupon orders. • Manufacturer coupons and Catalina manufacturer coupons require the customer to pay sales tax on the full retail amount. • Meijer, Catalina Meijer, and competitor coupons require the customer to pay sales tax only on the discounted item price. • Meijer will accept competitor coupons from Food Retailers or Mass Merchandise Retailers. roof. Coupons from Club Stores and Dollar Stores will not be accepted. going out of business sales. the coupon will be applied up to the reduced price of the item. after other discounts or coupons are applied. 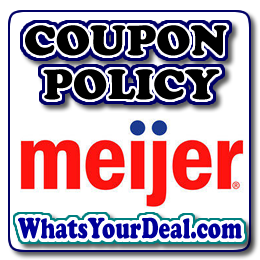 Coupons are not accepted for meijer.com purchases, including Order to Store.